The Enneagram is a symbol that was brought to the West by G.I. Gurdjieff, an Armenian mystic who created what became known as the Fourth Way teachings. 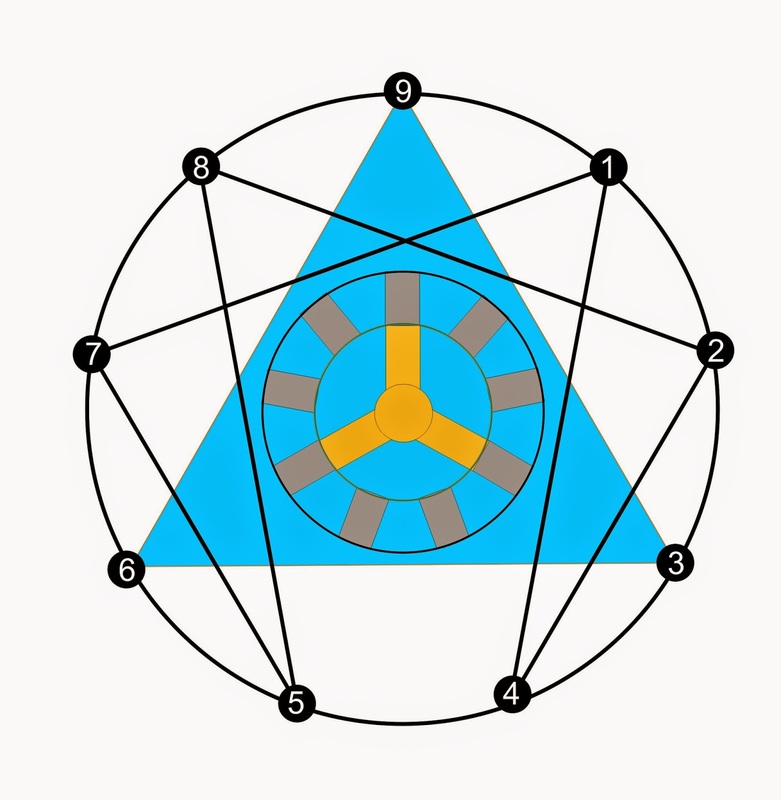 The Silent Eye’s version of the enneagram has a few extra features added to the core (but unchanged) symbol. • The circle has nine points, but these are divided into a triangle and an unusual six-pointed figure that we call the Hexaflow. • The triangle and the Hexaflow are not joined in any way, they overlap. To this standard figure, the Silent Eye has added the colouring and the inner figure. These feature in the School’s use of the Enneagram as a teaching tool. But these are simply the geometrical features of the figure. The symbol comes alive when we approach it as a map of the journey of the Soul . . .
Our definition of the Soul is similar to that of the ancient Greeks. We believe it to be the entirety of that which experiences the ‘world’, the harvester of knowledge, distiller of understanding and the alchemist of wisdom. Modern psychology focusses on the ‘self’, but that, habitally, ignores the spiritual, in an age where psychologists, wishing to remain inside the folds of conventional science, are not able to express the eternal longing for our fullest origins, even if they feel it. 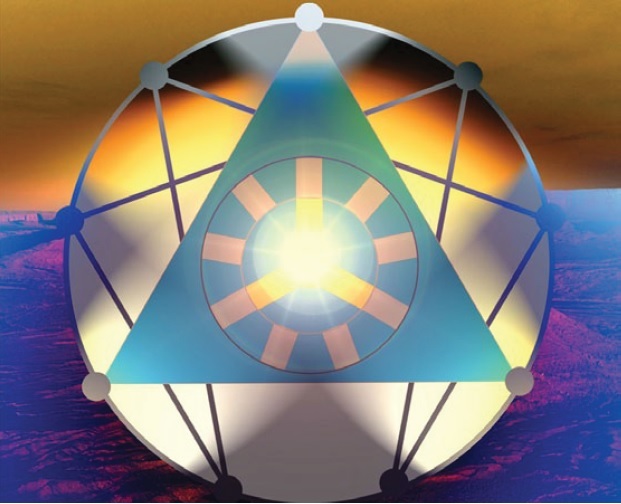 The new tradition the Silent Eye follows has been pioneered over the past forty years by a group of spiritually-oriented psychologists and mystics, who were determined to unite the profound researches into the personality or ego, with the ancient traditions of the spiritual self. Within this tradition, the nine outer ‘flowers’ of the personality become the start point for the journey back to our true home. Rather than ignoring or trying to overcome the forces of the ego, which drag us back to habitual behaviour even after highly charged inner experiences, we work with the nine expressions of egoic conditioning, gradually using their power to reveal the brighter landscape beneath. This is the start of a beautiful new day. Thank you beyond words. Thank you, Steve, you, Sue, and you, Stuart.